Police officers in Seymour, Ind., are catching a ride on local school buses in an attempt to spot distracted drivers and seat belt violators. Using the elevated height of the bus, officers spot violators and radio other officers to pull them over. Local drivers have given the tactic mixed reviews. Fiat Chrysler Automobiles has announced a new police model, the Dodge Durango Pursuit. The all-wheel-drive vehicle will be powered by a 5.7-liter Hemi V8 and will offer a two-speed transfer case for low-range off-roading needs and anti-lock brakes that have a 60- to 0-m.p.h. stopping distance of 134 feet. The company has not announced pricing. 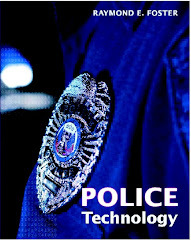 Use of an electronic sniffing dog by the Contra Costa (Calif.) Police Department led to the discovery of a hidden SD card and the eventual arrest of a juvenile who first "phished" a teacher to gain access to a school's computer system, then hacked in and changed grades. The hack did not involve any breach of personal information. First responders throughout Wisconsin will participate in Operation Dark Sky, a three-day exercise simulating a total loss of power in an area. More than 1,000 people will test the readiness of private utilities, law enforcement, first responders and the National Guard. The Monroe County Sheriff's Office in Rochester, N.Y., has enrolled more than 6,500 inmates in the Inmate Recognition Identification System (IRIS) system since its implementation in September 2017. Incoming inmates have their irises scanned in addition to being photographed and fingerprinted, and that information goes into a national database that can pull up previous criminal history from any participating jurisdiction. Video link and email technology in 13 of 25 correctional facilities in Illinois helps inmates keep in touch with family members and friends included on their personal list of approved contacts. The technology allows inmates to conduct video visits from their cells rather than using a public kiosk. At Decatur Correctional facility for women, the staff has seen positive changes in women who are making contact with their children and keeping up with their activities. This article examines the use of the three Food and Drug Administrationapproved medications to treat opioid addiction  methadone, buprenorphine, and injectable naltrexone  in the prisons and jails, and the positive effects those programs can have on the nation's opioid addiction epidemic.